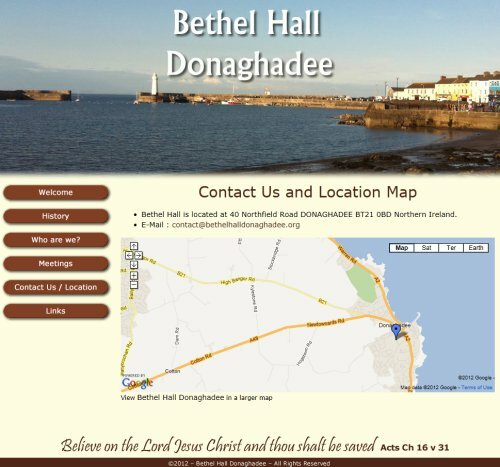 The bethel Hall in Donaghadee are a company of Christians from Donaghadee and district who love The Lord Jesus Christ and meet together weekly for worship, prayer, Bible teaching and to obey His command to remember Him in the breaking of bread. This website will promote the hall as well as provide information on forthcoming speakers and pastors to be appearing at the church. An interactive map allows people to find the church easily.